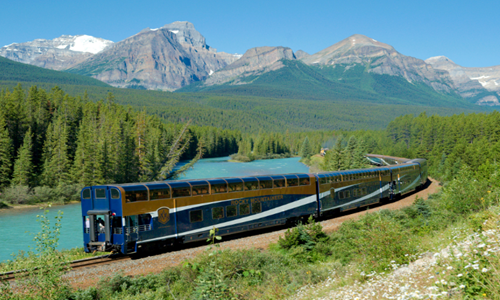 The Rocky Mountaineer operates 5 rail routes, the trains flagship service operates between the coastal city of Vancouver and the Rocky Mountain towns of Banff and Lake Louise or Calgary. Whilst the journey through the clouds tour will take you between Vancouver and Jasper or Whistler and Jasper. Enjoy stunning scenery on this two day journey whilst the train carves a path through icy rivers and the stunning stone cliffs of the Canadian Rockies. Opt for the “Goldleaf Service” and enjoy cooked to order breakfast, lunch and unlimited cocktails and snacks served by attentive hosts. 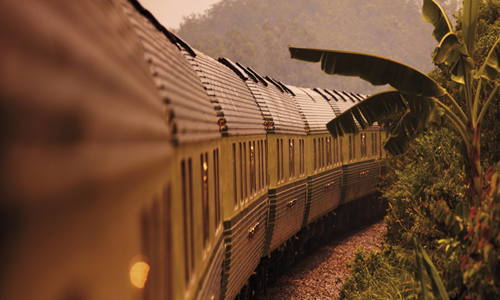 Enjoy views of rainforests, rubber plantations and paddy fields from the observation car of this exquisite train. On this 6 day journey you will pass through Bangkok, cross the bridge over to River Kwai and down the Malaysian coast. Guests can retire to their luxurious private cabins with a 24 hour steward on call to ensure every need is met. The journey commences in the jewel of the orient, Penang where guests can finish their trip with a few days on its tropical beaches. Enjoy a 15 day ride through South Africa, Botswana, Zimbabwe, Zambia and Tanzania as well as Selous Game Reserve, Victoria Falls, Great Rift Valley and the diamond town of Kimberley. Enjoy breakfast, lunch, tea and a formal dinner in the pre-1940 beautifully restored dining carts. Royal suites come complete with lounge area with Victorian bath and separate shower allowing guests privacy and comfort during the journey. On this seven hour journey from Zermatt to St.Moritz you will travel past cow-dotted valleys and enjoy sights of snow-capped gorges as well as passing through 91 tunnels and crossing 291 bridges. 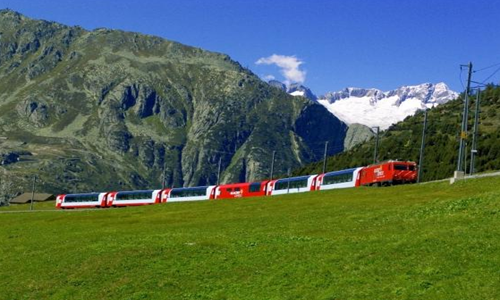 This stunning rail line was first opened in 1920 for the wealthy to explore the Swiss Alps in a comfortable and easy way. Book ahead and enjoy a three-course lunch whilst taking in the views, a railbar serving snacks, drinks and sweets is also available. 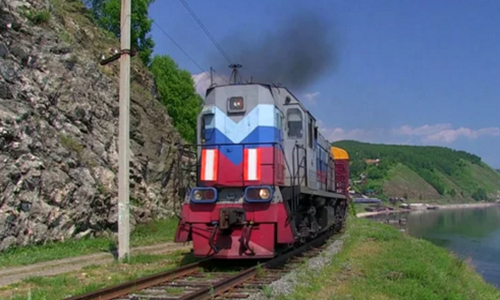 There are many different ways to explore the Trans-Siberian railway. If you’re after a bit more luxury then spend the extra money travelling on the Tsar’s Gold Train. The train will take you on a 15 day trip through Beijing’s Forbidden City, the Great Wall, the Gobi desert, Siberia’s Lake Baikal and Mongolian Nomad Settlements. For the ultimate luxury check into a Category V Bolshoi platinum cabin. Each cabin has its own en-suite bathroom, air conditioning, CD/DVD player as well as its own dining car and choice of 2 menus. This full day round trip operates between the colonial city of Cusco and the ancient Inca site of Machu Picchu. 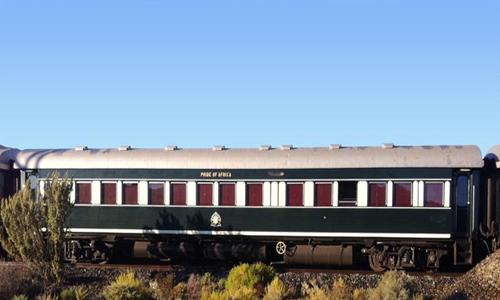 The 1920’s Pullman style train which is richly upholstered and fitted out with fine tableware is named after the American explorer who rediscovered Machu Picchu in 1911. 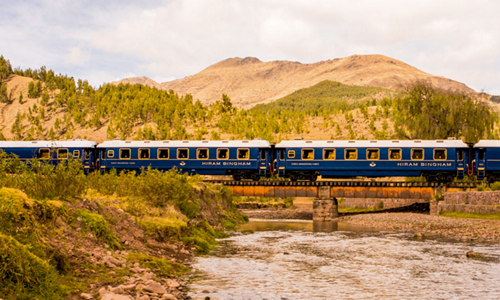 The train comes complete with two dining cars, observation car to take in the stunning views and kitchen car which provides brunch on the way to Machu Picchu and a four-course dinner on the return trip. 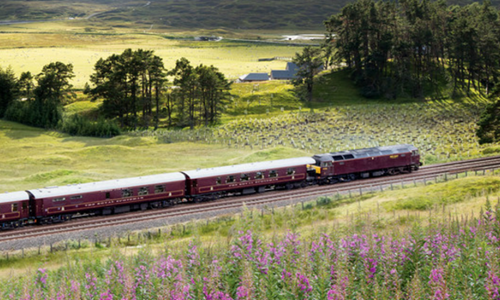 This exclusive 36 passenger train departs from Edinburgh and journeys around the Scottish highlands. Enjoy views of serene lakes and glens, ancient castles, streams and pristine countryside. Whilst enjoying the views passengers will be treated to delicious cuisine complete with Scottish specialities. When off the train passengers can indulge in a spot of complimentary golf in the country the sport was created. 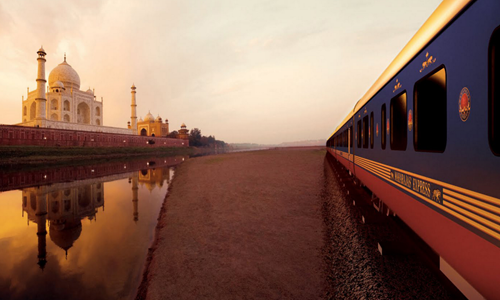 The Maharajas Express carries just 88 passengers and takes journeys from Delhi and Mumbai which can last between 3 and 7 nights. Travel through some of India’s most picturesque destinations such as Agra (home of the Taj Mahal), Jaipur, Udaipur and Ranthambore where Bengal tigers can be spotted in the wild.